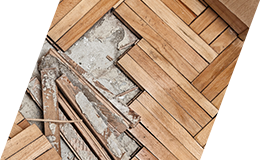 Our main field of activity is the installation of floors – from subflooring to the installation of wood, lath and laminate parquet flooring to finished floors. We specialize in providing tailored flooring solutions. As a new service in Estonia, we remove hard-to-remove flooring. Sales and installation of a variety of flooring – since 2005. Our hardworking team includes leading field professionals working together to ensure that all projects are completed in a high quality, timely manner to the satisfaction of our customers. We work in close cooperation with interior designers and other partners to ensure modern and durable flooring solutions. 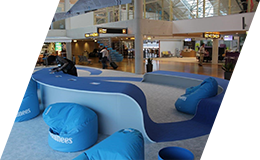 Over the last decade, we have completed a number of flooring jobs for customers in the business, commercial and public sectors all across Estonia. Special solutions and more complicated projects, encourage us to keep up to date with the most recent trends in flooring materials. The skills of our team have strongly evolved with years of experience. To see some examples of our completed work, please see our Completed Projects section here. The quality label guarantees that all flooring jobs are completed promptly and at the highest quality level. Contact us and we will find the flooring solutions that suit your needs.